Nose: Despite the strength of 62.4%, it comes on as welcoming, through intense; very gristy malt notes, soft peaty tones and Demerara sugar. Palate: Intense but not biting; creamy chocolate, orange rinds, shortbread, all dipped in leathery, tarry peat oils. Finish: Going more vegetal and drier, but still on (now more husky) malty notes, fruity sugar and increasingly tarry peat notes, developing into salty liquorice. Very long! Comments: This dram really likes water, though it can be sipped neat (goes very well with dark chocolate). The rum cask makes its presences felt, but with a good balance, as the rum in the cask was as heavy as our whisky is, so a good match, for a dram with a big impact. Slightly confusingly whilst the Systembolaget have released Single Cask 57/2011 Single Cask Edition No.7 (which sadly did not yield enough bottles for the UK), they are going to wait until April to release Single Cask 56/2011, Single Cask Edition No.6, so for once we have a Smögen release on sale in the UK, before it appears in Sweden. Amongst others try Hedonism Wines and Shop4Whisky. Cheers! 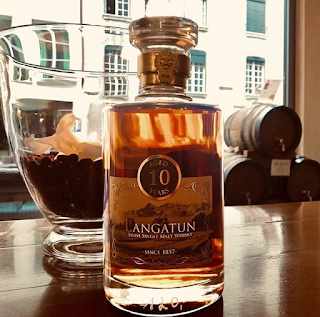 Langatun has picked up three Gold Medals and been named Alpine Distiller of the Year in the Wizards of World Whisky Awards. 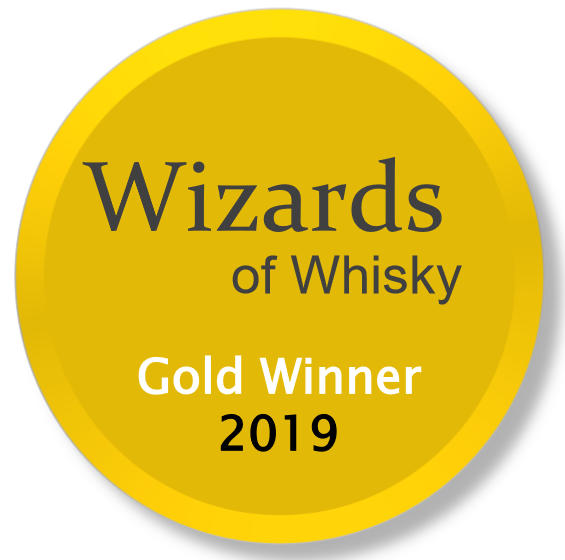 The Gold Medals were awarded to the Langatun Jacob’s Dram, Old Bear Cask Strength and Old Woodpecker editions, with the Old Bear Cask Strength also being named Alpine Whisky of the Year. 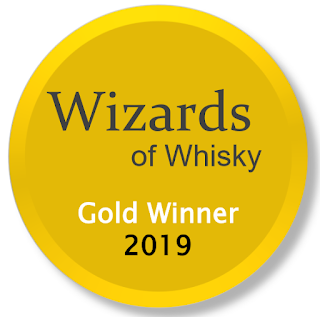 The Wizards of World Whisky, now in their sixth year, are organised by whisky author and commentator Dominic Roskrow, who noted that the Alpine region is ‘now producing some of the most exciting whiskies in the world’. Whilst the Langatun Old Woodpecker is not yet available in the UK, a selection of Langatun bottlings, including 'Alpine Whisky of the Year' Langatun Old Bear Cask Strength are available from Gauntleys of Nottingham, Master of Malt, Nickolls and Perks, Shop4Whisky and The Whisky Exchange, amongst others. 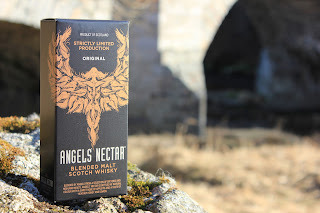 Similar to geo-caching, but with whisky, we will hide a trail of Angels’ Nectar Whisky Caches across Speyside for the Spirit of Speyside Whisky Festival. Guests will be able to find the whisky filled caches via a series of clues after registering for the event via the Spirit of Speyside web site. The first to find each Angels’ Nectar Whisky Cache will be rewarded with one of our 200ml bottles of Angels’ Nectar Blended Malt Scotch Whisky, perfect for sharing. Whilst there is no charge to take part, whisky cachers are asked to leave a whisky miniature (or better!) in place of the dram they find. Thus everyone who finds an Angels’ Nectar Whisky Cache will be a winner. We hope Angels’ Nectar Whisky Caching will encourage festival goers to explore Speyside’s beautiful countryside and discover new drams. 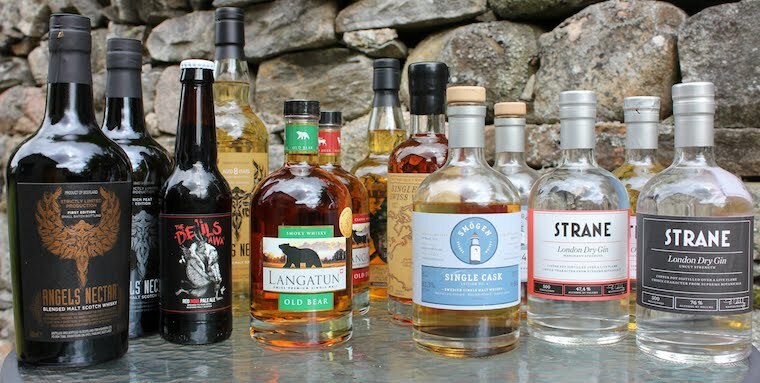 Whilst there is no need to have been geo-caching before, for the whisky loving geo-cacher, what could be better than a trail of Angel’s share inspired whisky filled caches. Angels’ Nectar Whisky Caching is one of more than 650 events due to take place across Speyside as part of the Spirit of Speyside Whisky Festival, which this year runs from the 1stto the 6thof May. In addition we will be offering the opportunity to try Angels' Nectar at Elephants in the Pantry, Grantown-on-Spey, on the 4th of May and at Brodie Countryfare, Forres, on the 5th of May. For more, and to register for the event, please follow this link to the Spirit of Speyside Whisky Festival website. Introducing Strane Ultra Uncut Gin 82.5% - the world's new strongest gin? As readers of our blog will no doubt be aware, Strane Uncut at 76% previously held the record for the strongest commercially available gin. 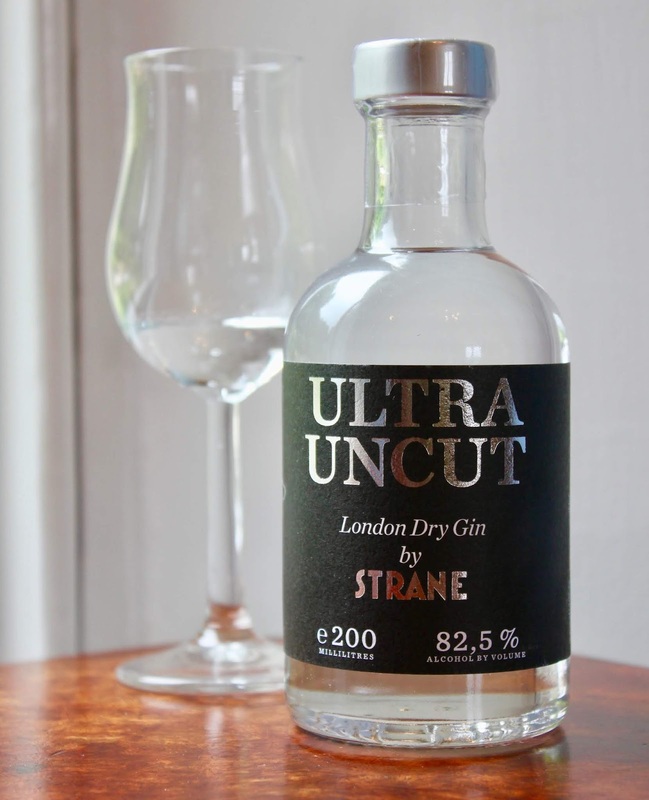 Uncut's high strength was not a deliberate attempt to create the strongest gin, more a consequence of Pär Caldenby's pursuit of flavour intensity by introducing a blending stage in the creation of Strane Merchant Strength 47.4% and Strane Navy Strength 57.1%. With Strane Uncut 76% you could say Pär took the concept of cask strength whisky to gin, i.e. if we don't add water there will be more flavour. As it was, when we launched Strane Uncut 76% we assumed someone somewhere would have a similar gin on the market of similar strength or higher, but as we spoke to gin bars and gin gurus it became clear that Strane Uncut 76% was a new concept and was certainly the strongest gin in Sweden and the UK, if not further afield. Unwittingly Pär had created a new category of gin. Having eventually claimed that Strane Uncut 76% to be the strongest available, it was inevitable that someone at some point would try to create a stronger gin, and thus after three years we saw three contenders at the start of this year unseat Strane Uncut 76% from the strongest gin podium. Whilst Pär never set out to create the strongest gin, nor start a strength race, having been challenged, he could not resist responding, which leads us to our new release: Strane Ultra Uncut 82.5%. This is a deliberate attempt to push the boundaries of gin distilling to the extreme, as far as intensity of flavour and strength goes, using a traditional copper pot still. With Strane Ultra Uncut 82.5%, Pär has tweaked the production process to take the intensity and strength to a new level. This was done with a much stronger charge of the still than usual and also by doubling the volume of botanicals, to maximise flavour. Given the high strength Strane Ultra Uncut 82.5% is only to be enjoyed in the smallest of measures, hence it will only be available in 200ml bottles. Exercising due care, it can be savoured neat, ideally chilled, in very small sips (with a glass of water on the side). This delivers an intensive juniper-led flavour impact, with great complexity from the other botanicals, including coriander seeds, almonds, liquorice root, lime and fresh herbs. In Pär’s words, 'This leaves the palate clean as a whistle'. For a longer serve do try one part Ultra Uncut 82.5% to two parts of Fentiman's tonic water, on plenty of large ice cubes. Strane Ultra Uncut 82.5% also makes an interesting base for creating your own cocktails, fruit liqueurs and infusions. Commenting on the new release Pär said 'Strongest gin or not, we believe gin enthusiasts will enjoy and cherish the incredible intensity of flavour that our Strane Ultra Uncut delivers'. Strane Ultra Uncut 82.5% certainly gives a new meaning to flavour-led. For the first chance to try, I will present a Strane masterclass, to include Strane Ultra Uncut 82.5%, at the Just Gin Show on the 28th of July 2018. Amongst others Strane Ultra Uncut 82.5% is now available from Nickolls & Perks and Master of Malt with an RRP of £33.00 per 200ml. Labels: Gin, Just Gin, Master of Malt, Nickolls and Perks, Pär Caldenby, Smögen, strongest gin, Sweden, Ultra Uncut, What is the strongest gin?